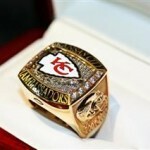 You are here: Home / Blog / General Information / Wear your heart on your finger! Diamonds are forever, and they are the perfect way to celebrate the love of two people. 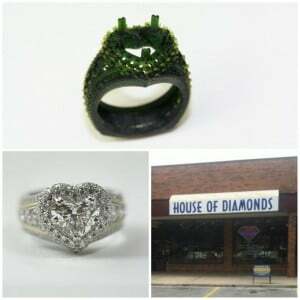 This couple entered the door way here at house of diamonds wanting to upgrade their center stone and left with a true piece of art; to be cherished for generations. The design process began with a simple sketch that was then transformed by our state of the art CAD system in to the wax model. Clients are able to try these models on to get a real feel of what their finished ring will look like. Going from top to bottom this particular ring has a sparkling 2 carat heart shaped center. 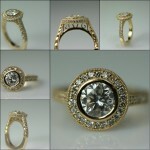 Around the center there is a round brilliant pave halo. To achieve this finished design it went through a 6 part construction to create the platinum ring the client wanted but also incorporating the solid 18 karat gold accents that were important to them. The accent round brilliant diamonds are graduated as the range in size from .20 to .005 carat giving a full and finished look. Lastly is the square euro shank, a design feature we recommend to our clients for stability and comfort. Come see us today and let us help you design what she’s always wanted!